At 65 you can enroll for medicare for the first time. Your Initial Enrollment Period (IEP) starts three months before your 65th birthday, includes your birth month and ends 3 months after your 65th birthday. You have a total of 7 months to enroll in Medicare. Choosing a medicare plan can be a complex and frustrating process that could cost you time and money, if you make mistakes or wrong choices. Medicare is confusing and constantly changing. Don’t let yourself get frustrated, find a Medicare adviser to help you through the process. How do you find a Medicare adviser? You should find a Medicare adviser that will be knowledgeable, respected and a trustworthy authority on Medicare. Follow these easy steps to help you find the right Medicare adviser for you. Start by asking friends and family, that already use a Medicare adviser, how they like their adviser. Word of mouth can be a great source and a good place to start. The internet is another great tool in searching for a Medicare adviser. Start creating a list of candidates by doing searches and gathering contact information. Be sure you search for your local Medicare adviser for relevant options. Once you have put together a list of advisers you need to start narrowing your options. Your possible candidates should be licensed in your state. Your candidates should also specialize in Medicare. 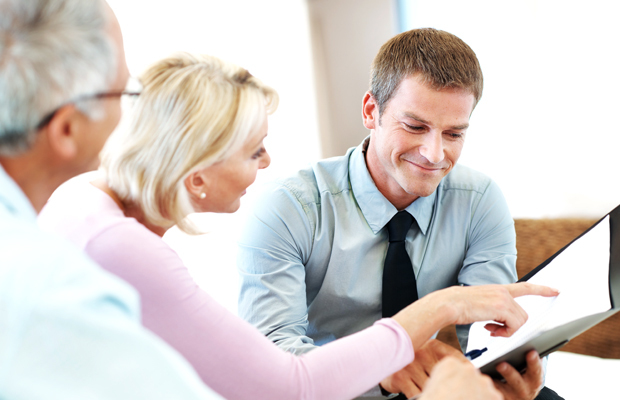 Most insurance agents sell a wide variety of coverage. You want an adviser that is an expert in selling Medicare and can help you find the right plan for your unique situation. Call or email your prospective choices and start a dialogue on what your needs are. The right agent for you will listen and provide you the appropriate plans in a timely and professional manner. Be sure your new adviser is communicative and willing (and able) to answer all your Medicare questions. Your Medicare adviser will care about your needs. When it comes to your Medicare coverage, demand only the best Medicare advisers to assist you with your choices. It’s your Medicare coverage. Ensure it’s the right coverage for you. Don’t try and tackle Medicare alone! Contact us and let us be your guide. We provide a no obligation free consultation! We’ve been helping people just like you for over 30 years and feel confident that we can help you make the best decision for yourself regarding your Medicare Insurance needs. Call today at (714) 729-3161.